Below are some excellent thoughts from Lit! by Tony Reinke. 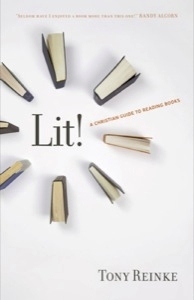 Reading Between the Lines: A Christian Guide to Literature by Gene Edward Veith, Jr. The Internet is designed to encourage us to browse information, not to slowly read and digest it. We jump from link to link and are driven by distraction. Book reading, on the other hand, can’t happen without disciplined and sustained linear concentration. Instead of browsing for fragments of information, we must learn to become deep thinkers who work hard to comprehend (2 Tim. 2:7). If we fill our lives with fragments of information, our brains will adapt and our concentration will weaken. We will begin to find articles, chapters, and books increasingly demanding as our attention spans shrivel. Eventually we will find it difficult to stroll through long stretches of prose. Book readers must work to sharpen their attention. Like marathon runners who train daily to stretch their endurance, book readers must discipline themselves to read one book for thirty to sixty or ninety minutes at a time, struggling to increase their mental concentration. Traditionally, a reader selected one book and sat alone in a reading chair. When great ideas were encountered, the reader internalized those ideas and reflected on them. If the reader encountered points of disagreement, the reader also stopped to reflect on what made the point disagreeable. Traditional readers engaged with a book and engaged their thinking. This has changed with online social interaction. Now, when we come across an idea that we like, we are tempted to quickly react, to share the idea with friends in an e-mail, on Facebook, or on a blog. When we disagree, our initial response is to ask for the input of others. With online access to so many friends, the temptation is to react, not to ponder. Acting upon what we’ve just read, rather than stopping to meditate and think, is an impulse that we bring to reading books. I am quick to Tweet and slow to think. I am quick to Google and slow to ponder. So ask yourself the next time you read: When you come across a provoking or perplexing portion of a book, what are you more likely to do: react or think? When you are tempted to react, stop, and simply think and meditate about what you are reading. Valuable life wisdom flows out of meditation and deep thought. It’s easy to skim around for information online or to bounce from one fragmented detail to another. But the labor gets heavy when we determine to study a book for the purpose of gaining life wisdom. True learning and true wisdom are the fruit of long-term diligent study and meditation, benefits that we cannot get from books unless we are willing to slow our minds, mute distractions, and carefully think about what we are reading. Of all the people surrounded by data in the information age, Christians should be especially protective of the time required to slowly meditate (Proverbs 4). Remember, it is not hasty reading, but serious meditating upon holy and heavenly truths, that makes them prove sweet and profitable to the soul. It is not the bee’s touching of the flower that gathers honey, but her abiding for a time upon the flower that draws out the sweet. It is not he that reads most, but he that meditates most, that will prove the choicest, sweetest, wisest, and strongest Christian. Slow meditation on what we read is not only essential for gaining wisdom, it is also essential for experiencing delight. In order to feel deeply about spiritual truths we must think deeply. And to think deeply we must read deeply. And to read deeply we must read attentively, not hastily. If we discipline ourselves to read attentively and to think deeply about our reading, we will position our souls to delight. But our souls cannot delight in what our minds merely skim. Modified from Lit! by Tony Reinke.